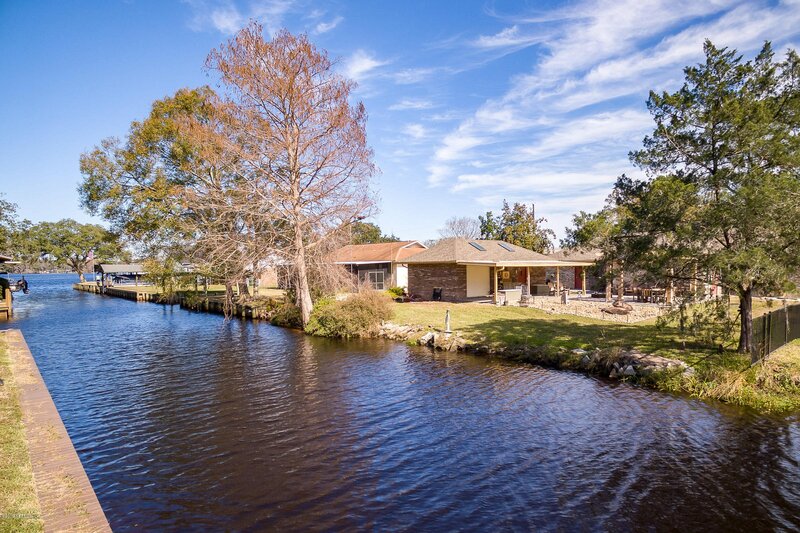 Charming and immaculate describes this well cared for canal home with 100 ft of direct frontage and easy access out to beautiful Doctors Lake. This all brick home offers an open floor plan with a spacious living and dining room combination, an updated kitchen with new white shaker style cabinets, tile backsplash, corian counters, stainless steel appliances and island with plenty of storage. New 'wood look' tile floors run through kitchen, bedrooms and baths. Florida room is surrounded by windows and has expansive water views. The outdoor space is perfect for entertaining with a paver patio, pergola and fire pit. There is a large detached one car garage and workshop. Other features and updates include knockdown ceilings, sprinkler system, gutters, new hot water heater and 2014 roof.